By Melanie Nathan, May 19, 2015. The Kenyan Court’s groundbreaking decision which ruled in favor of the regstering the National Gay and Lesbian Human Rights Commission (NGLHRC) as an NGO under the Non-Governmental Organizations Coordination Board Act, is now being appealed by the Kenyan Government. 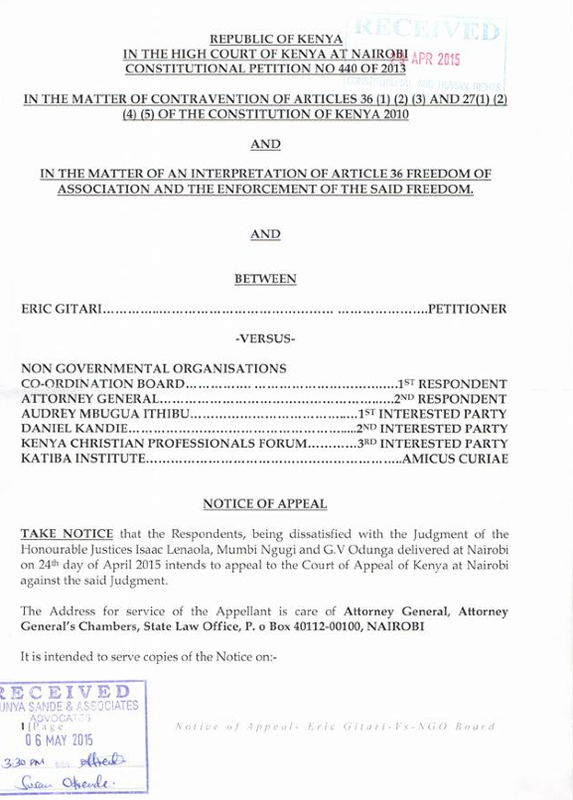 The Attorney General for Kenya and interested parties filed a Notice of Appeal in the High Court of Kenya this month and the appeal has now been served on Petitioner. READ MORE and original story link at African HRC.